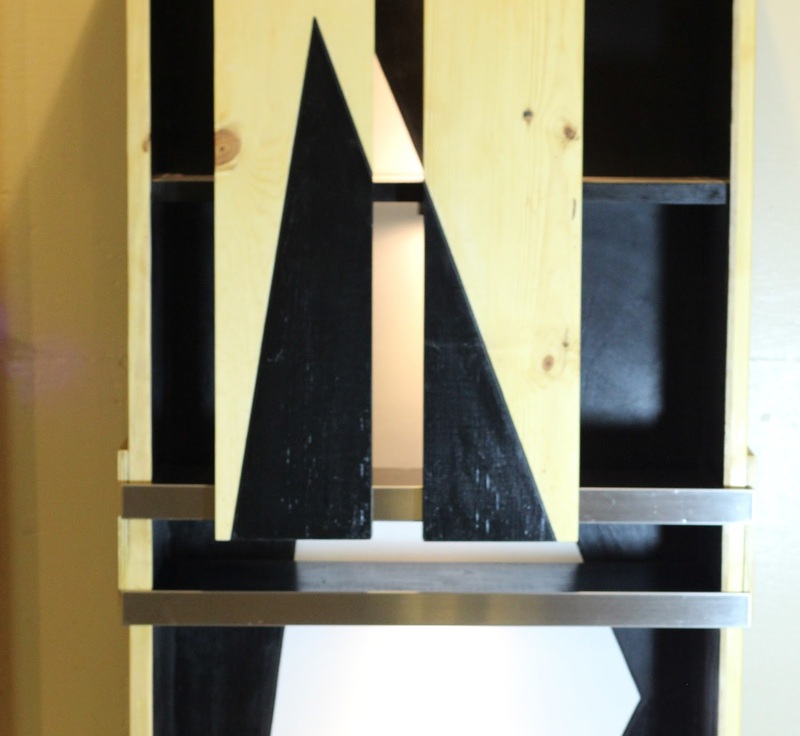 "Case 13" is a wood shelving unit made out of a large discarded crate. The sliding doors, opening with a lateral movement, can take different positions, playfully mimicking the trapezoidal interior design. The white color of the trapezoidal form in its interior is intensified by the artificial light. 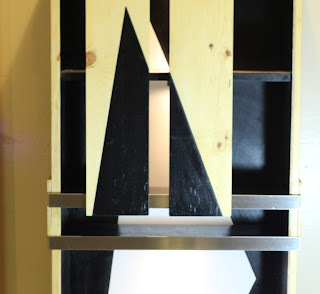 This piece was inspired by the avant-garde machinery.